The annual $1,000 Ladies No-Limit Hold’em Championship at the World Series of Poker kicked off on Friday with an official count of 954 entries. It was confirmed by the WSOP that no males registered for the event, marking the first time in several years that the event was truly a Ladies Championship. The first ladies-only event was introduced in 1977 in the form of a $100 buy-in seven card stud tournament. The ladies played stud for the event’s first two decades, but have been playing Texas hold’em since 2001. The buy in jumped to $1,000 in 1992 and had remained at the price tag until this year. At first glance when the schedule was released in February, players noticed the entry fee had been marked up to $10,000. However, a twist in the rules read that ladies got 90% discount to $1,000. 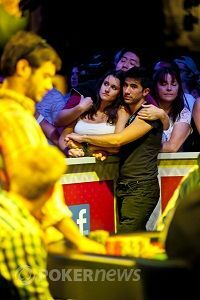 The modification was a creative response by the WSOP to fix the problem of men buying into the Ladies event, one of the major controversies that emerge at the series every summer. In 2011, Jonathan Epstein not only registered into the women’s only event, but also made his way to the final table. It wasn’t the first time a man entered the tournament, but it was the first time one had placed in the top nine. This year, the WSOP appeared to work around the gender-discrimination laws by adding the $10,000 price tag and ladies discount. And it was a complete success. After it was revealed that no males had entered this year's event, PokerNews got the scoop from some of the female players about whether they thought the $10,000 price tag was a good change. Lauren Billings was more politically-correct on the subject when offering her opinions. “I think it was clever of the WSOP to do such a thing. It’s silly that there’s a law that prevents private enterprise from doing things they want. It was a good way to get around the issue. I personally think the ladies events are a little antiquated, although I do appreciate the reason that the series started them. It obviously enhances poker. A lot of the players' girlfriends play so it’s just overall good for the game. If you are a man and your wife lets you play all the time, then it’s good to have that one event that she could play and feel comfortable; it’s special for her. "Also, there are a lot of older women that get intimidated because of the many young kids who maybe aren’t very nice and just want to play this event out of spite. 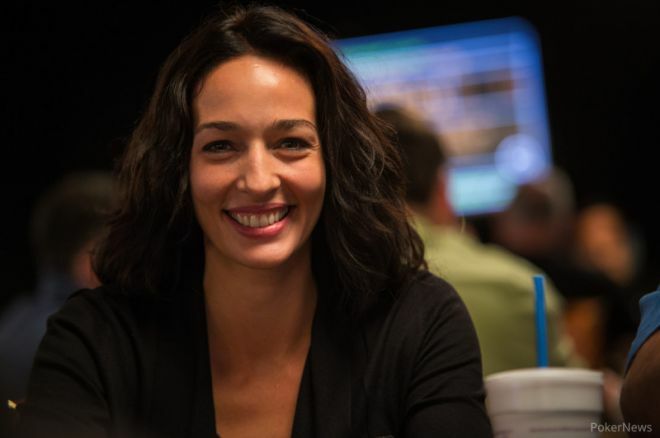 Many say women poker players are so horrible and making it the softest field. Perhaps it’s true but because many female players are limit players and aren’t comfortable or as experienced with no limit Hold’em. We asked Scott if the WSOP should counter the ladies event by creating a male-only event. Be sure to follow our Live Reporting page for continuing coverage of the Ladies Championship at the 2013 World Series of Poker, and follow PokerNews on Twitter for up-to-the-minute news.